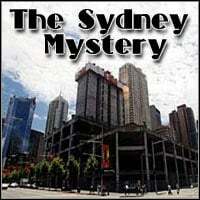 The Sydney Mystery is an adventure game created by Twilight Software. Players take on the role of a young Australian woman who, in a private investigation into her uncle's disappearance, follows the bomb bombers in the city. Uncle Fred is a retired Private Investigator. You're his niece. You have just returned to Sydney, and discover a message on your answering machine. It's Uncle Fred, asking you to visit him as soon as possible! But at Uncle Fred's house, you discover that he has been kidnapped, and that the police have already cordoned off the house. Talking to his next door neighbor, you discover this bad news and more. Entering his house anyway, you begin the hunt for clues and items that might be useful. You will discover the names of some of your uncle's old friends, and so the trail of clues continues. Through the course of the game, you will travel to all of the most popular spots of the city of Sydney, including the harbour, the Opera House, the city and bushland. You will also visit the stately homes of various characters, a restaurant, and a corporate headquarters near to the harbour. Ten different characters inhabit the various locations. You will talk to them in full-motion-video interactive conversations. These characters are all somehow connected to your uncle, and each of them helps to unravel the mystery. Why has your uncle been kidnapped? Why are the bombings happening? You will control the progress of the game, it will be up to you to solve this mystery, by talking, exploring and using the items around you to solve the story's challenges.